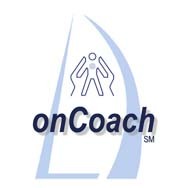 The onCoach process offers you a structured coaching opportunity for practice that begins with completion of an Action Plan, continues with a personal coach, journaling and involvement in a coaching group that helps keep awareness and practice high. (first time only) Go on-line to the web address provided by your instructor/coach and follow the instructions for Register. (Click �Post-Workshop Registration� on right menu.) Do this only once. (See NOTE ->) Once through the Register process, while logged in go to the Enroll function and select a coaching package from the drop-down list. NOTE that some will be automatically assigned to a coaching package, thereby skipping this step. 3 myPlan Once Enrolled in a coaching Package, you should proceed to the �myPlan� function (right-hand menu) to begin creating your Action Plan with 2 or 3 SMART goals that you can commit to practice during the coaching process. You may choose pre-defined goals, if available, or you may add your own. NOTE that some will see a pre-defined Action Plan set-up by your instructor/coach. 4 myJournal With your Plan defined, begin your journaling process at �myJournal.� Keep your onCoach journal and track your practice and experiences related to your goals. Journal entries can be as short or as long as needed in order to integrate the skills learned. You may designate them to be Private � seen only by you � or share them with your coach. and/or Workshop Community Wall The other individuals in your coaching Package, including your coach, have access to a �Package Blog� (if available) where you may share your questions and successes. (You must be Enrolled in a Package to use the blog.) All workshop/program attendees have access to a "Workshop Community Wall" (if available), unique to that workshop/program, where you may share your learning experiences. The Wall uses your photo that you may upload at "Change My Profile". 6 Coach Notes Access individualized coaching notes from your personal coach. Available whenever your coach enters them. 7 Wizards Various wizards may be available to expand your learning depending on the content of your training workshop/program. 8 Support Library Tailored learning resources are available in the onCoach Support Library. Because onCoach operates within a secured environment, use of the browser Back button is NOT advised while in onCoach. Use the right-hand menu for navigation. ©2007-2014, Strathman Associates, Inc. All Rights Reserved.